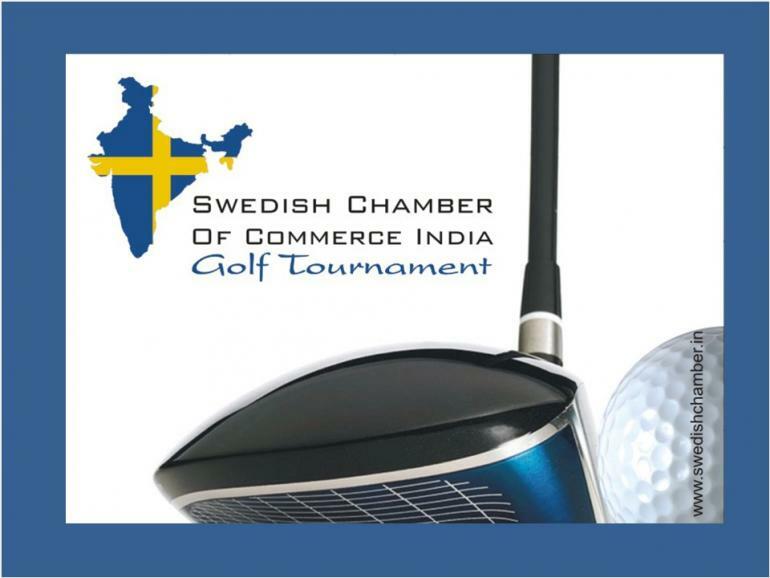 Swedish Chamber of Commerce India's 7th Annual Golf Tournament- 2015 Edition! SCCI’s tournament has been steadily climbing up the popularity ranks in the world of sport and has easily become one of the most coveted tournaments of the year. Top management of Swedish member companies as well as Ambassadors of various countries and high-ranked Army officials have been the participants over the past years. The 2014 Tournament saw an unprecedented participation and tremendous interest from corporate houses, the Government and other business communities. The next tournament is scheduled for February 28, 2015 and is by invitation only. Sponsoring companies this year include esteemed members of SCCI - Volvo Auto, Ericsson, Scania, SAAB, Tetra Pak, Oriflame, Wallenius Wilhelmsen Logistics and SEB. Gifts courtesy – The Oberoi, The Leela Palaces Hotels & Resorts, Ananda in the Himalayas, Le Meridien New Delhi, Blueair, Olive Bar & Kitchen, Guppy by Ai amongst others.